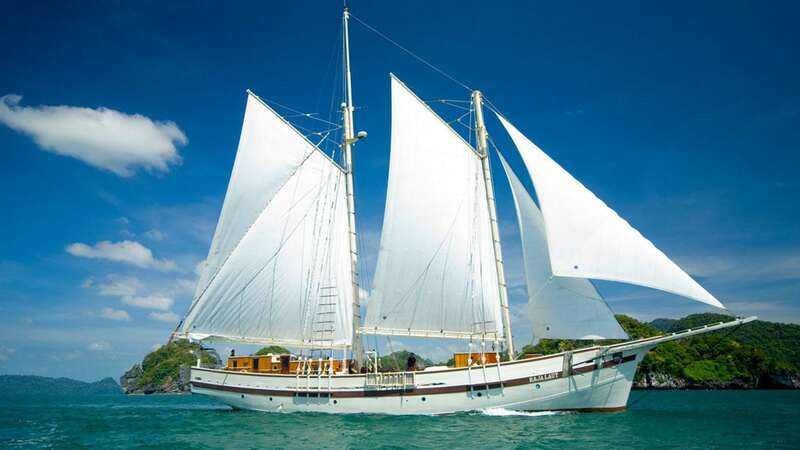 The Emperor Raja Laut liveaboard is a Dutch Schooner style yacht built in 2005 with tropical hardwood. 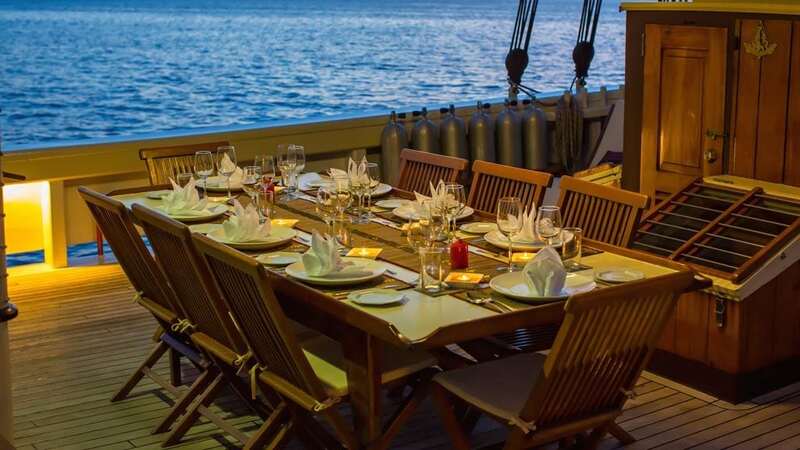 ‘Raja Laut’ in Indonesian means ‘King of the Sea’, and guests can expect to be treated like royalty on board. 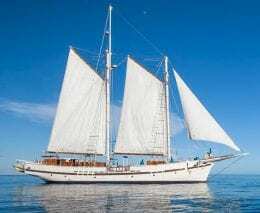 This beautiful schooner takes no more than 12 divers on their excursions, yet they have 7 crew and 3 dive guides on board to provide exquisite personal service to guests. 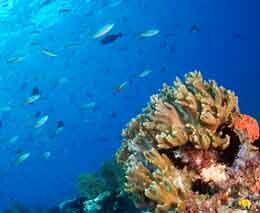 The Emperor Raja Laut offers 7 to 12-night excursions in Raja Ampat, Banda Sea and Komodo. 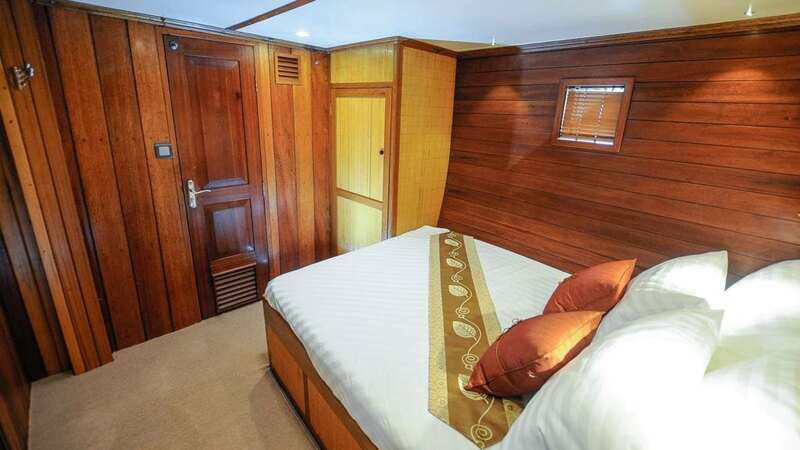 Raja Laut’s interior spaces are built from selected tropical hardwoods and accommodate 12 guests in 6 standard cabins, which are below deck. 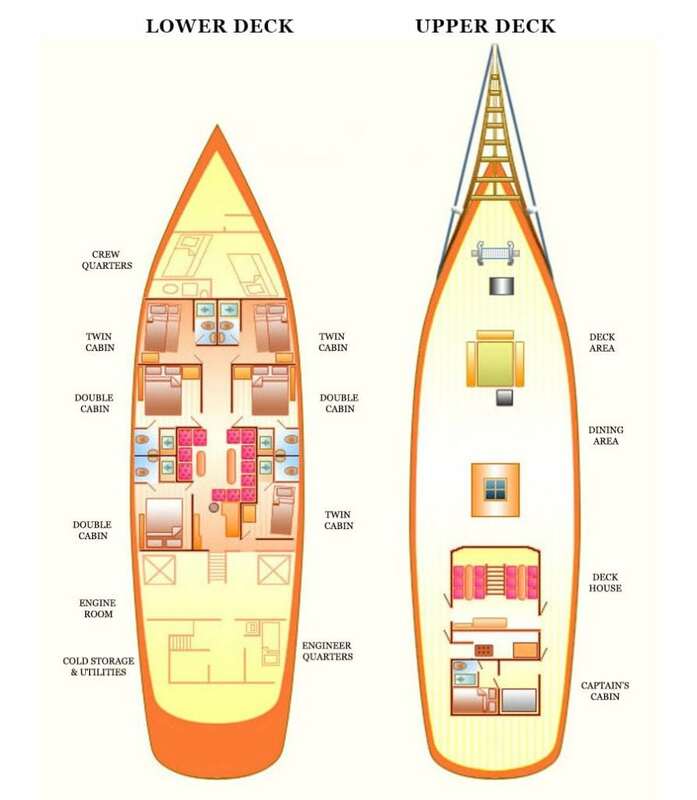 Each cabin has individually controlled air-conditioning, fan, en suite bathroom, a table, a mirror, closet and mini safe. 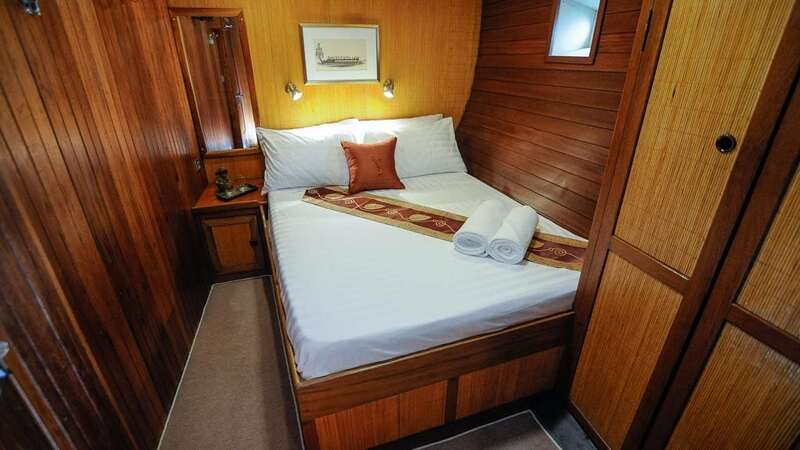 Three cabins come with a queen size bed and 3 cabins have bunk beds. Good news for taller people, the cabin ceilings are pretty high 2.05 to 2.15 meters. 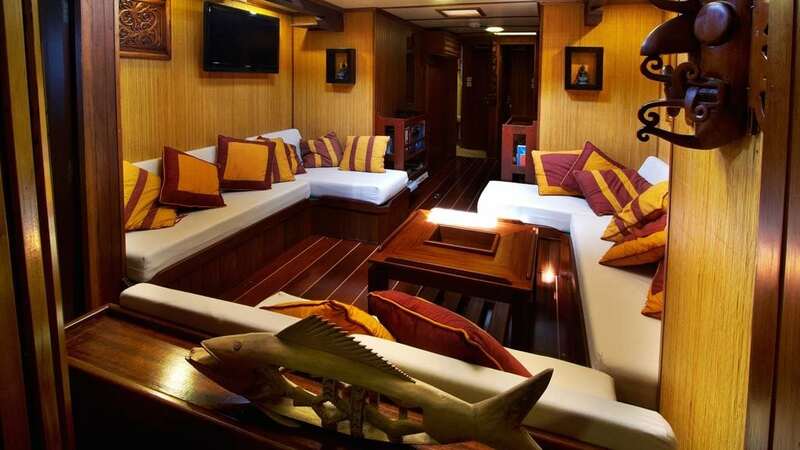 Timeless styling and beautiful furnishings feature throughout the yacht to create an elegant and comfortable atmosphere. The lounge area, on the same level as the cabins, is fully air-conditioned with a 49″ HD flat screen, movie, music & book library, board games and mini-bar. 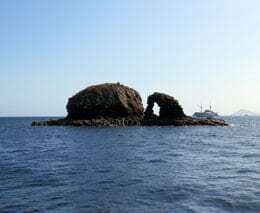 Komodo itineraries start and end in Labuan Bajo. 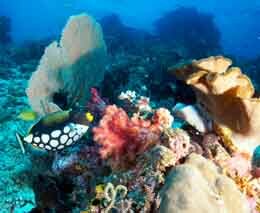 Banda Sea itineraries start and end in Ambon. 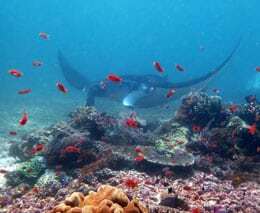 Raja Ampat itineraries start in Waisai and end in Sorong. 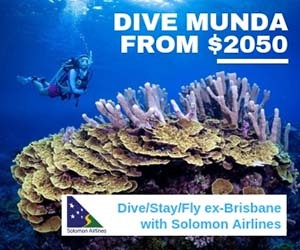 Clients will be met at Sorong Airport and accompanied to the ferry port with a member of the Emperor Raja Laut team, for the 2 hour speedboat ferry from Sorong to Waiasai which costs IDR 200,000 (~USD15). The diving is done from two large RIBs (Zodiacs), both to get you to the dive sites swiftly, and also to ensure precise entry and exit points. 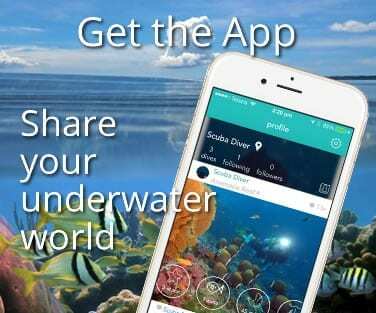 They have 2 dive guides, all safety equipment, Lifelines and SMB’s on-board, free of charge. Nitrox is available for Nitrox certified divers. 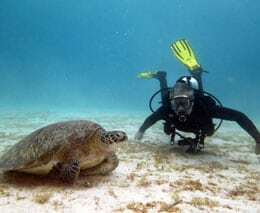 As currents can be strong, the Emperor Raja Laut requires divers to be certified to Advanced Open Water or equivalent with at least 30 logged dives. If you are Open Water or equivalent you will be required to take part in the Advanced Open Water course on board. The Emperor Raja Laut visits different regions in Indonesia during the best times of the year for each area. 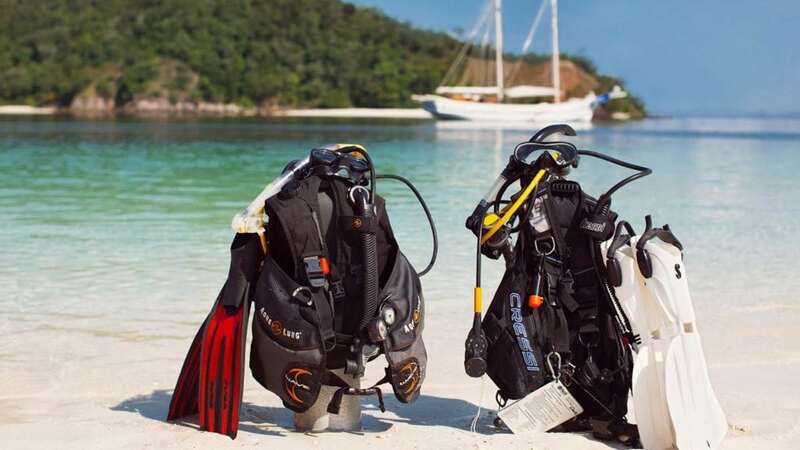 This provides the optimal dive experience whether you are diving in Raja Ampat, Komodo National Park in Flores or on a trip visiting Ambon or the Banda Islands. 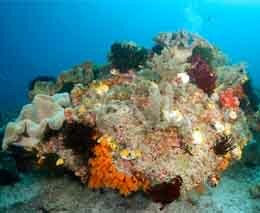 In most of Indonesia water temperatures are between 27°C (81°F) and 30°C (86°F) all year round; but note that in the south of Komodo, it is cooler, and a 5 mm (1/5 inch) semi-dry is recommended for this region. 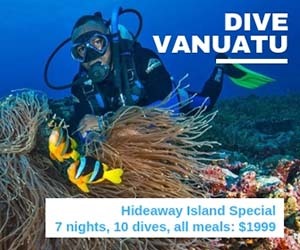 Great itineraries and a fantastic experience with only 12 divers on board. 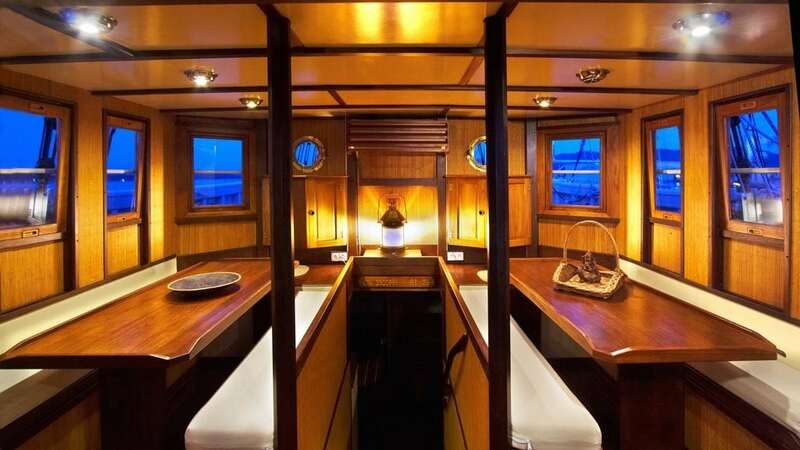 Ideal for group charter and for divers who want to have a smaller but luxurious liveaboard. All equipment rental, special tank requests and any onboard purchases are paid locally and will include 10% sales tax. All rates are subject to change without notice.